Please delete this if there already is a thread on her but I searched and I (oddly) couldn't find one! Jacqueline Kennedy, wife of Democratic presidential nominee, Senator John F. Kennedy, sits with her two year old daughter Caroline during a visit to Washington. Wearing mod sunglasses and a miniskirt, Jacqueline Kennedy Onassis accompanies her husband, Aristotle, to a plane at Kennedy Airport on today, before the Greek shipping magnate took off for Athens. 9/10/1953- Hyannisport, MA: Senator John F. Kennedy (D-MA) and Miss Jaqueline Bouvier of Newport, RI, will be married September 12 at Newport, in one of the most elaborate weddings of the current season. The couple are shown above at the Kennedy's Hyannisport, MA home shortly after their engagement was annouced. The stylish coupld is shown sitting together on the lawn of the estate. Probably my favorite 'celebrity' of alltime.. there is just something about her. Jacqueline Kennedy and sister Lee Radziwell on Lake Pichola, Udaipur, India, March 17, 1962. Apricot silk ziberline dress by Oleg Cassini, 1962. Jackie loved clothes. 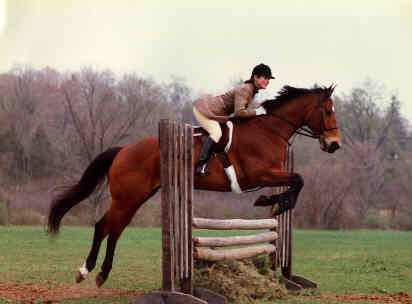 It may have been genetic.Her mother loved clothes, her sister loved clothes, and her Father Black Jack loved clothes. Here are some things that were in Jackies Closet, to help you get that Jackie Look for yourself. for the spring and summer. Irish linen or raw silk. Best in light colors; white , pink, taupe. Now is not the time to slack on your yoga, and go easy on the carbs! Beltless white jeans, and a black turtleneck, NEVER tucked in. Jackie had a black "horoscope" design hermes scarf that she wore. Leave the Louis Vuitton for Diana Vreeland and Joan Rivers, and opt for T.Anthony instead. Hacking Jackets from Huntsman and Saville Row. Serious Jewelry. Van Cleef, her engagement ring and wedding ring came from there. 40 carat diamond from Winston. For evading the Ron galellas. Jacqueline Bouvier's ivory silk wedding gown required 50 yards of ivory silk taffeta and took more than two months to make. It was the creation of Ann Lowe, an African-American dress-maker born in Clayton, Alabama, who had designed gowns for the matrons of high society families including the du Pont, Lodge, and Auchincloss families. Ms. Lowe was 54 when she designed the Bouvier wedding dress which featured a portrait neckline and bouffant skirt decorated with interwoven bands of tucking and tiny wax flowers. The bride wore her grandmother's heirloom rosepoint lace veil, attached to her hair with a small tiara of lace and traditional orange blossoms. She also wore a single strand of family pearls, a diamond leaf pin which was a wedding present from Ambassador and Mrs. Joseph P. Kennedy and a diamond bracelet the groom had presented to her the evening before the wedding. She carried a bouquet of white and pink spray orchids and gardenias. Finally a thread on her. She is absolutely, horribly fantastic. Beautiful and stylish. I see so many focal points of her style in today's. Like teh big sunglasses. Post your favourite pictures you two! 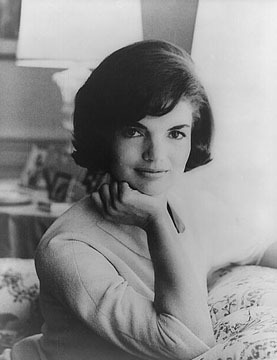 Thank goodness for a thread on Jackie as she is the epitome of true style and class! Jackie is certainly a icon of style, but I'm not sure about class, after how she behaved towards Aristotle Onassis. i personally don't like her at all. I find her ugly, conceited (without reason;-), and don't like her style so much. Too tight and simple.don't get me wrong i like clean-cut. I love Calvin and Narciso and Ralph. but her style is a no no. What about her anyway? and please just give me 1 reason she's famous! Well, to each their own. Thankyou for starting this, Mercedes! I have the most beautiful book of photography on Jackie.. I wish I could scan all the pictures! I will slowly add to this thread, as I find my favorites.. I don't think there is a picture of Jackie I don't love. This picture is among my most favorites - this one just says it all to me.. just irresistibly beautiful and magnetic. I guess the perception of their union would be who's book you read or what movie or documentary you watched. I wouldn't know how Jackie behaved towards Ari as I was not there as a witness, however, I would bet the bank Ari was no "saint" in that marriage either . I was so entraced by her as a little girl. I would always get books out at the library about the kennedy's and I had this big hardback book on her and just used to flip through the pages and listen to music. I think she was great too because she showed that being first lady doesn't mean you can't be chic. She is in my opinion a style icon. Very chic, surprisingly chic too, when it comes to a first lady. She was also very beautiful. Jacki-O glasses, no surprised that's what they are called. I don't feel that way just based on how she behaved towards her husband, but that she was so intent on wrangling money out of their union, even after her Aristotle's death strikes me as gold-digger like. These two people were not stupid, she was his prize, his trophy and he had all the money she would ever need. Right before he died he tried to cut her from everything, but he didn't quite make it. What she got was peanuts compared to his vast fortune. Her engagement rings. The first from JFK and the second from Ari.